Guerrilla marketing is a great way to showcase your freelance business to potential clients without using much cash, thus keeping your business costs low and your ability to pick up and move onto another idea seem almost seamless in transition. 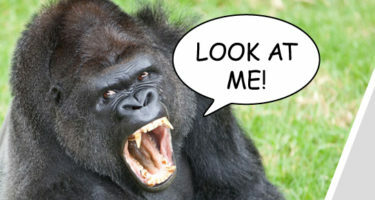 So below are 15 killer guerrilla marketing tactics you can start using today. I’ve said before that business cards inside bookmarks are a great way to showcase your business to people who are looking for books in your target market, but what about taking it a step further and designing some bookmarks that showcase a cool design and also give some information on your business? Then it doesn’t look like a marketing campaign at all and the reader of the books will likely keep the bookmark a lot longer, increasing your chances to make a sale with them. If there’s one thing that will showcase your skills, writing tutorials will probably be #1 on most people’s list. The benefits for writing tutorials are that you get to show potential clients you know so much about your business that you can write step by step tutorials for someone like them to understand it, even if they have zero previous knowledge about it. It’s ok to boast your knowledge a little bit – and best of all, it only costs you some time (you could even shop the tutorial around and see if a bigger site would pick it up and pay you for it). Do you design websites for small business owners, or someone who may benefit from business cards? Why not offer 1,000 free business cards to them when they purchase a web design from you – you could even build the price of the cards into your pricing if you want to offset the cost of them. U Printing has 1,000 business cards for around $30.00. There’s a lot of talk about building relationships within your niche on social media sites and shaking hands, making friends, ect – but why not step out of your niche and find friends elsewhere? The benefits of this is that you can help them help you and you’re not competing with them for clients. If you’re a web designer who creates website designs for musicians, why not team up with a cd publishing company and co-promote each others services? Think outside the box and get some business cards from people you normally wouldn’t talk to – it’ll definitely pay off! No, it’s not illegal – writing on bills is ok as long as it doesn’t affect the ability for the bill to be used in sales. So all you need to do is write your url right on the bottom of the bill without writing over top of anything else and you’re good to go. Do this on every bill that comes across your hands and you’re sure to get 1,000+ bills out there in no time. And they’re circulating in areas you normally wouldn’t even be in, so the reach is large. Sending your business package to potential clients in the mail can have you end up in the bin of other businesses trying to pitch their ideas, but what if you used more stamps? If you have 39 of the 1 penny stamps on the envelope, what are the chances that it catches the potential clients eye when they’re shuffling through their mail? This ties into the tutorial idea above, but why not start a blog about the type of topics that your potential clients would benefit from reading? Explain how you handle business transactions, show the productivity tools you use, showcase pictures of your office, discuss the benefits of hiring a _________ (insert designer, photographer, copywriter, programmer, ect). The traffic will build and the exposure could turn into some very big clients coming across your work. Mason from Small Fuel could explain to you better as to why this is a great idea and why the 15-30 minutes of talking it takes to hold a presentation could turn into cold hard cash. You can read his article here. If you’re wanting to get more eyes to your website, this is a good idea as long as you’re offering quality services/products. You can actually see how this works here on SpyreStudios by checking out the Giveaways category. It’s definitely a great way to gain momentum for a newly launched website and company. It’s Christmas time, so why not send potential clients a gift basket? It’s a nice gesture and will definitely show them that you’re not just a paper and pen type of company – you have a beating heart and you’re a real person. That is one of the main things companies look for, so doing this puts you at the front of the race. If someone finds a broken link or tries to view a page that just isn’t there, why not showcase some information about your business on it? It’s extra ad space that is often underused and is visible to a good amount of people – you’d be amazed at how many people get 404 errors on your website/blog. Spend a bit of cash, hire some people to help promote your business and let them hit the pavement (so to speak). When someone has a cash incentive to talk about a company, they are much more open to promoting them to their friends. When someone refers a company to their friend, the friend is much more likely to use that company. It’s a win/win for you and the person doing the promotion for you. A lot of bands have street teams, why can’t you? I put the two together here, even though they’re a bit different. Entering your company into business awards can be a great way to showcase your talent to your peers and also gain attention of competition as well as business who could benefit from your services. Entering the CSS galleries like CSS Mania and CSS Remix is a great way to showcase your site as well as drive a ton of traffic to your website. Doing this shouldn’t be about you – it should be about a special cause that you’d like to raise some money for. Although, the promotion from having your name side by side with the benefit could do really well for your business and also show your local community that you’re a business that cares about others. I’m planning on doing a couple of these this summer. WAIT! Before you skip over this one, hear me out. You need to be active on social media sites, but utilize them in ways that others haven’t yet. Engaging your potential clients is one thing, but turning your twitter account into one that just randomly tweets about your business is a completely different idea. Me, I’d stick more to the first method. If a social media site doesn’t seem beneficial to your business, don’t be mad. Find the one that your client base is hanging out on and utilize that instead.